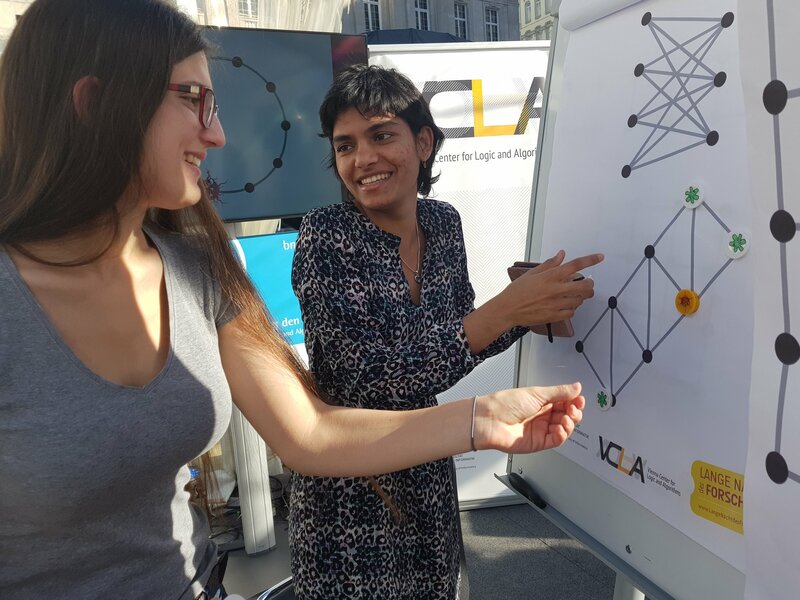 For the first time VCLA with FWF-funded LogiCS joined the 5000 researchers across Austria presenting their work at Lange Nacht der Forschung – Long Night of Research, on Friday, April 13, 2018. Lange Nacht der Forschung is the biggest research-related event in Austria. In 2018 attracted a record number of 228.000 visitors to 265 exhibition stations across Austria, allowing a direct communication between the public and the researchers in a playful format. At the Station 8, Am Hof, located on the Forschungspfad in Vienna, the Vienna Center for Logic and Algorithms – VCLA, helped to sew the future, with a paper-and-pen game on Tree Decomposition Game which we called Catch the Virus – Fang das Virus. The visitors could play the game with the LogiCS PhD students, Hanna Lachnitt (the recipient of the second Helmut Veith Stipend for Female Master´s Students of Computer Science at TU Wien) and the VCLA chairs, Stefan Szeider and Agata Ciabattoni. 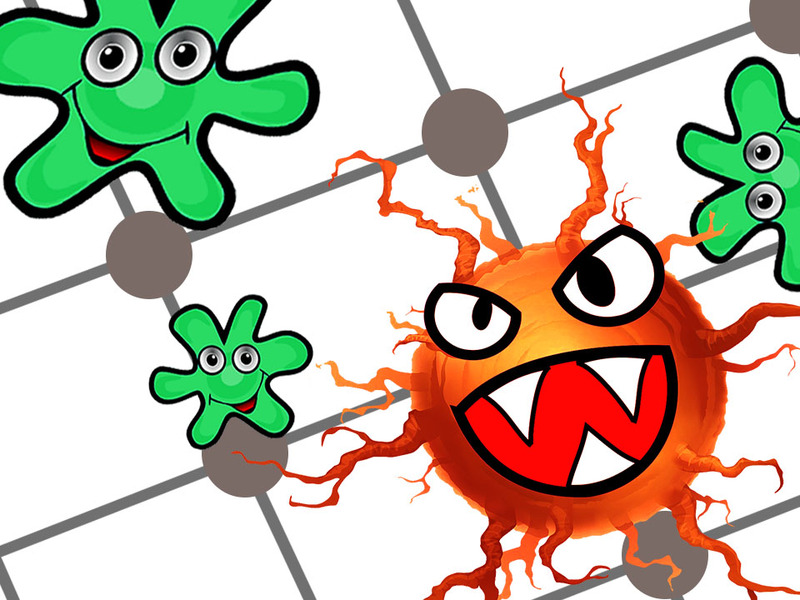 The game Catch the Virus (Fang das Virus), is based on the Cops and Robbers game (Seymour und Thomas 1993), which has been specially adapted by Professor Stefan Szeider to give the visitors of the LNF 2018 the chance to taste the power of their own logic and playful step into the world of algorithms. VCLA activity was available in English and German language, with the support of the LogiCS PhD students. Register by April 25, 2018 – Make the Video by Mai 15, 2018. Photo gallery on Flickr … soon.